TP Flanagan was born in 1929 in Enniskillen, Co. Fermanagh where, in his late teens, Kathleen Bridle initiated him into the art of watercolour. 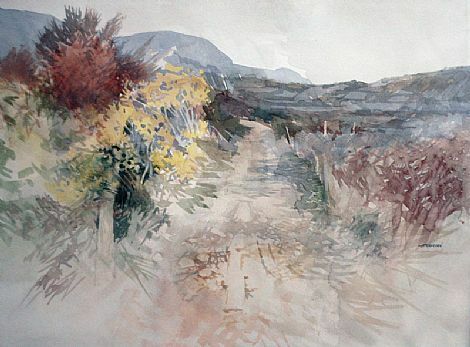 As a landscape painter, apart from short spells painting in Europe and the USA, the major part of his working life has been spent painting throughout Ireland. His work has been recognised both in Ireland and internationally. 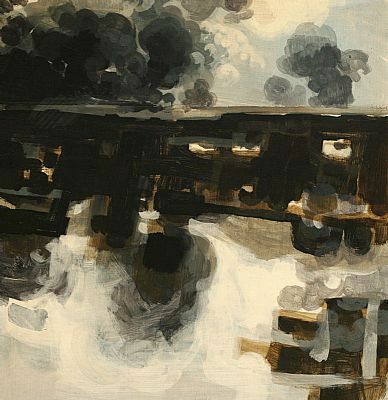 He held a major retrospective (1945-1995) at the Ulster Museum, the Hugh Lane Gallery in Dublin and the Stadsmusueum, Gothenberg, Sweden. In the same year his work was included in A Century of Irish Painting tour of Japanese Museums by the Hugh Lane Gallery. He exhibits regularly in the RHA Dublin and the RUA Belfast.